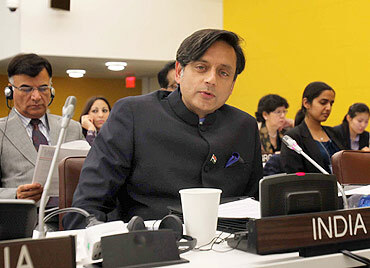 Asserting that the Kashmir issue does not fall under the purview of the United Nations, Congress MP and ex-UN official Shashi Tharoor has said there are specific instances when the world body can be involved in a country's internal matters but Kashmir is not among them. 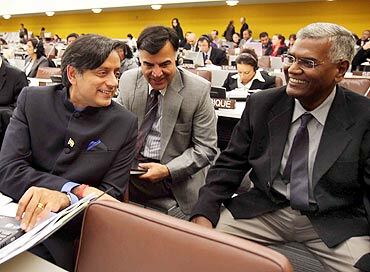 "But internal disturbances of a state, which is an integral part of India, is frankly not much the Secretary General's business," the former UN Under-Secretary General said. "We are neither unable, nor unwilling, nor have we invited the UN." 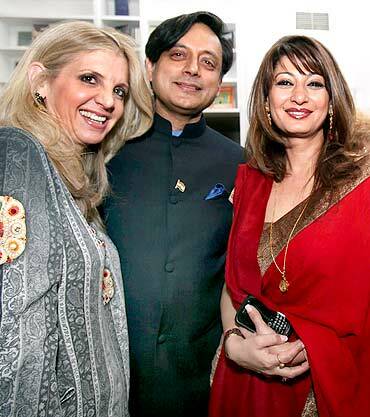 Tharoor further pointed out that the involvement in the internal affairs of a country could be permitted when there was a complete breakdown of authority. "In the question of Kashmir, we have a perfectly capable sovereign government that has been exercising its statutory responsibility as a government and I think India is right to take the position that on this subject the Secretary General has no role or no basis to say anything," he said. Tharoor pointed out that the UN's "limited role" goes back to a 1948 resolution which places military observers on the ceasefire line, and the world body would have a "legitimate basis to saying something" if, for instance, "firing on both sides of the line had broken out." Earlier this month, Secretary General Ban Ki-moon had underlined that the UN would "offer its good offices" when "both parties" asked it to step in. "As far as this role of good offices is concerned, the United Nations normally takes that initiative when requested by both parties concerned," Ban had said. In the past few weeks, Pakistan Foreign Minister Shah Mahmood Qureshi has raised the issue of Kashmir at several public forums, calling on the United Nations and the US to intervene. At the UN, Pakistan's diplomats have repeatedly claimed that Kashmir is not an "integral part" of India. 'Can Pakistan orchestrate shutdown in Kashmir? No!